Thinking of heading to Western Australia and its capital, Perth? 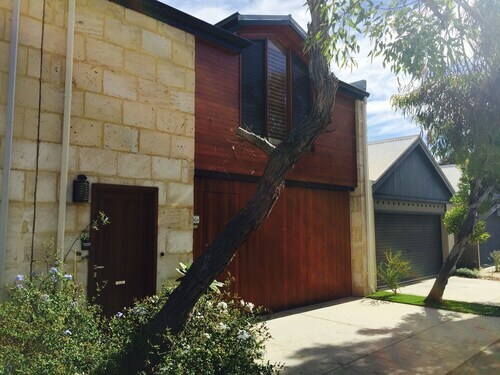 You may like to get to the area of South Fremantle, situated 17 kilometres southwest of the city centre. The not-to-be-missed features of Perth include the Kings Park and Botanic Garden and Swan Bells Belltower. A visit to Fremantle Grammar School is an enjoyable activity when the weather forces you indoors. If you'd like to hit the hay nearby, consider the Pier 21 Apartment Hotel and Tradewinds Hotel. If rooms could talk, Samson House would be overflowing with voices of a different era. Book a tour and learn a bit more about the local history. Try the Esplanade Hotel Fremantle - by Rydges and Quality Suites Fremantle to be closer to this spot. After a rejuvenating sleep, get outside and follow the scent of coffee beans to Moore & Moore Cafe. This much-loved South Fremantle cafe offers all the mouthwatering pastries and hot beverages you could need. After you've crossed everything off your itinerary for the afternoon and your thoughts start wandering to dinner, why not take a look at the menu at Esplanade Hotel Fremantle - by Rydges? This local establishment plates up a selection of savoury meals that you'll be sure to love. Don't panic if you can't locate the ideal South Fremantle hotel deal. You'll find more places to get a great night's sleep in the Fremantle hotels guide and the Wotif Beaconsfield hotels guide. Fremantle is around 2 kilometres from South Fremantle and Beaconsfield is 2 kilometres away from South Fremantle. It doesn't matter if you're just looking for accommodation, or the entire enchilada including excursions, car hire and flights, Wotif has got your back in South Fremantle. How Much is a Hotel Room in South Fremantle? 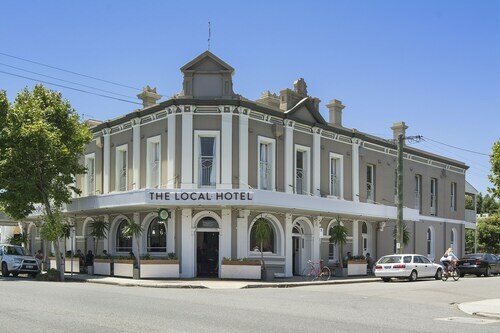 Hotels in South Fremantle start at AU$127 per night. Prices and availability subject to change. Additional terms may apply. Loved the vibe of the old building with modern upgrades and the meals available as fantastic! Very well equipped and comfortable studio apartment, ideal location, closeness to beach and bus service. The shower hot water kept cycling between hot and cold which made for a very uncomfortable showering experience. A lack of tea towel meant dishes had to be left to dry. Modern Studio With sea Views!